A brand-new bike for just over a grand? What's not to like? 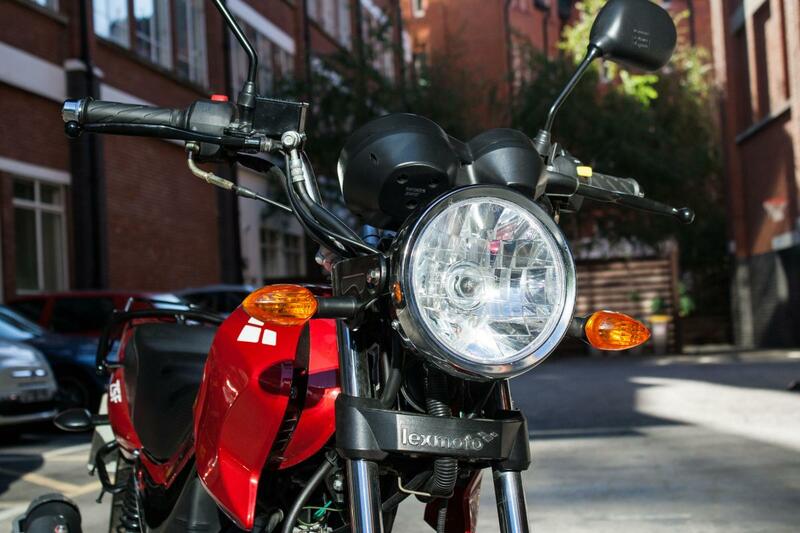 THE Lexmoto ZSF 125 is a Chinese learner/commuter bike that costs £1,099.99 new. 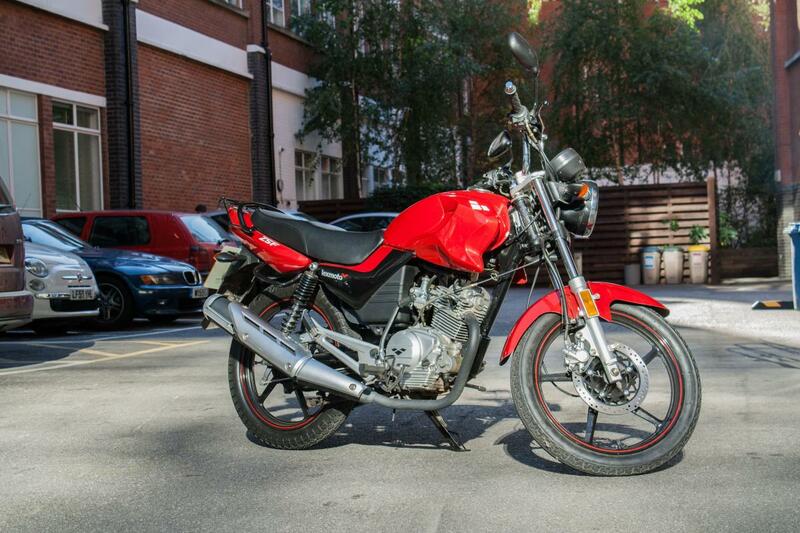 It’s absurdly cheap, but for that kind of coin, how good can a new bike actually be, and is it value for money? I rode one for a week to find out. My first journey on the ZSF was the evening commute home, and as I worked my way through west London, the 124cc four-stroke air-cooled single-cylinder carb-fed engine quickly made itself known as a keen and friendly ally in the struggle past Chelsea tractors and executive coupes. With 10hp, the motor happily provides enough power for a respectable getaway from the front of the lights and will take the ZSF to 50 mph and bit beyond without any drama. With only 124cc, the lack of torque means I had to keep the revs up to be within easy reach of the power. It pulls most between 6,000 and 9,000rpm, with the majority of its double decker bus-beating ability lying between 7,000 and 8,000rpm and the buzzy soundtrack that accompanies it. The engine is flexible though, and would begrudgingly let me get away with being in too high a gear. In that scenario, the engine would pick itself up with respectable speed as the exhaust note changed from a gargle to its usual fizzy din. Sustaining the ZSF’s momentum through town means getting busy with the clutch and gearbox. 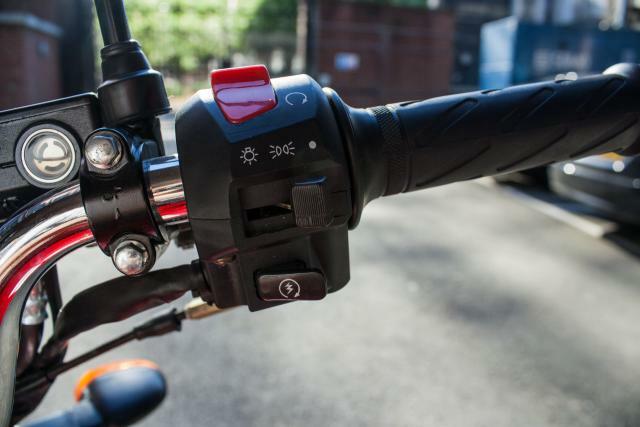 The simple little motor is dependable and reliable too – just what you want from a commuter, but properly waking it up in the morning requires some liberal throttle and full choke. It fuels acceptably, isn’t rattley, overly noisy and it didn’t drop its oil in my garage. It’s a shame then that the gearbox feels vague; whether shifting up or down, I never got enough of a positive feeling from the lever. When stopped in neutral at a set of lights, after selecting first, I’d have to check the gear indicator on the dash to make sure I'd actually found it. Otherwise I'd have been trying my best race start with the bike still not in gear. The brakes get the job done adequately, but without much feeling. At the front, there’s a single-piston single-disc set-up, at the rear a drum. The front has enough power but feels vague because the lever is stiff, making it hard to sense what the pads are really doing. In the dry, the brakes were sufficient, as you’d hope. I’ll get to wet weather braking in a minute. So far, so good, but it can’t all be smooth sailing and the ZSF’s low price is reflected in kind of ride it offers. 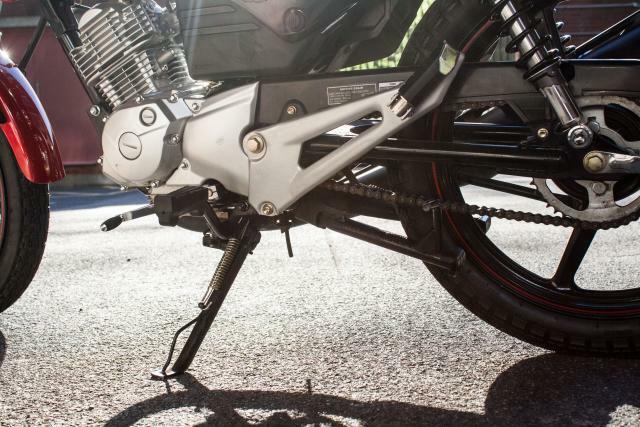 The non-adjustable front suspension wallows more than a mattress moving to the groove of love - the conventional front forks work without much in the way of composure and need much better damping. 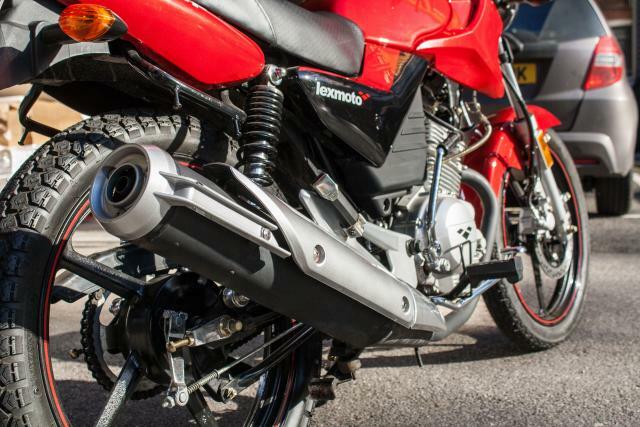 From Kensington to Kingston, the suspension felt startled at having to deal with speed humps, pot holes, grooves in the road – anything other than a perfect surface. Using the front brake and closing the throttle quickly would all encourage the front to sink, and I weigh slightly under 10 stone, so it’s not because of my problematic addiction to Big Macs. The rear is bouncy too, but because the bike has a comfy seat and the rear has less to cope with than the front, it wasn’t an issue. The ZSF is connected to the road with a set of tyres from that well-known brand Weixing. You haven’t heard of them? Me neither, and I hope I never have to again because the 18-inch rubber on the ZSF is woeful. 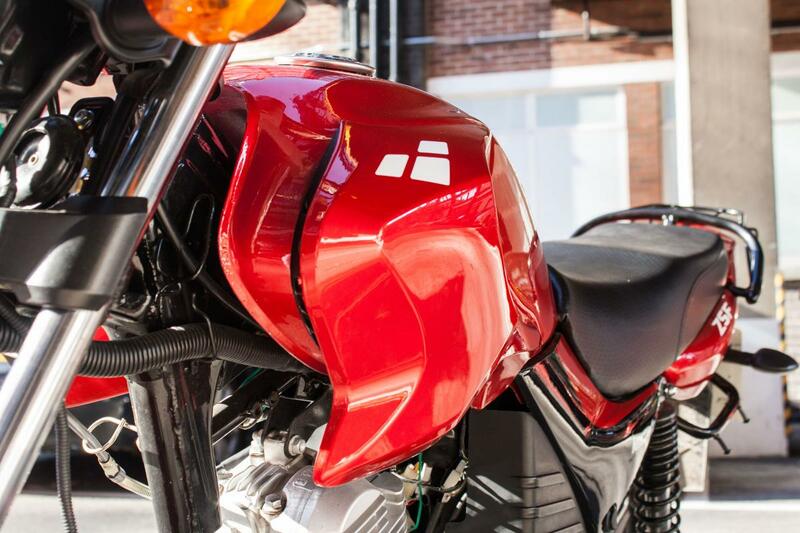 The profile isn’t particularly round, so during long or sweeping corners where the bike needs to lean into the turn, it felt unstable, like was riding on a 90° edge. Grip in the dry is passable, but I suspect that if they had to deal with any more than the ZSF’s modest claimed power or 125kg weight, they’d crumble, perhaps literally. In the wet, I found the front of the ZSF unpredictable when slowing and coming to a stop. Grip from the front would be abominable even if it didn't have to deal the divey forks. With the wooden-feeling front brake added to the mix, it makes for an uneasy experience. During one ride on damp and drying roads, the front locked without any warning at less than 20mph as I slowed for a car that looked like it was about to cut me up. I wasn’t using a lot of brake pressure, or getting on the front particularly hard. I managed to lock the front once more on the same ride as I came to a stop at stop at some lights – once again, under gentle braking, but under 10mph. After that, I was very cautious riding the ZSF in the rain. It’s something that could be easily changed though. 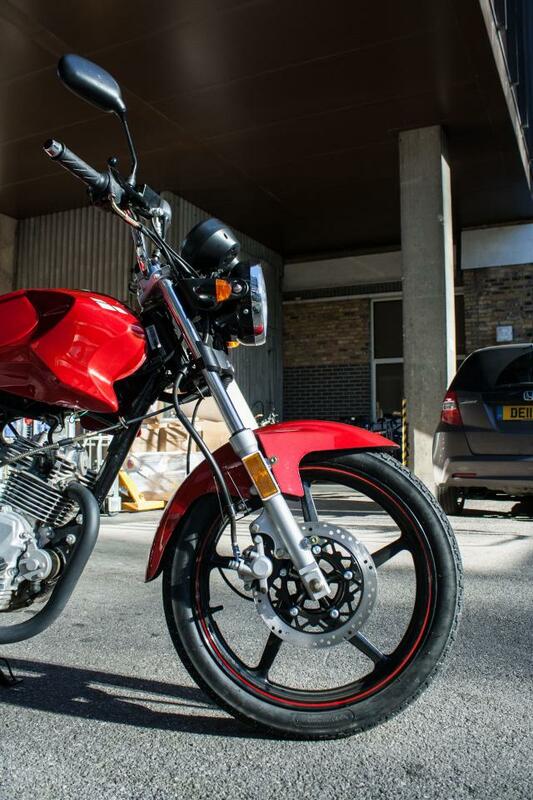 A quick search for 18-inch tyres turns up inexpensive offerings from Michelin and Pirelli, and I’d stake my left nut on them being better than the OE Weixing Trouserbrowners. I’d hope that combined with some decent rubber, putting some thicker oil in the forks would go some way to sorting out the front end. I mentioned that the ZSF has a gear indicator on the dash, which I wasn’t expecting for just over £1k. 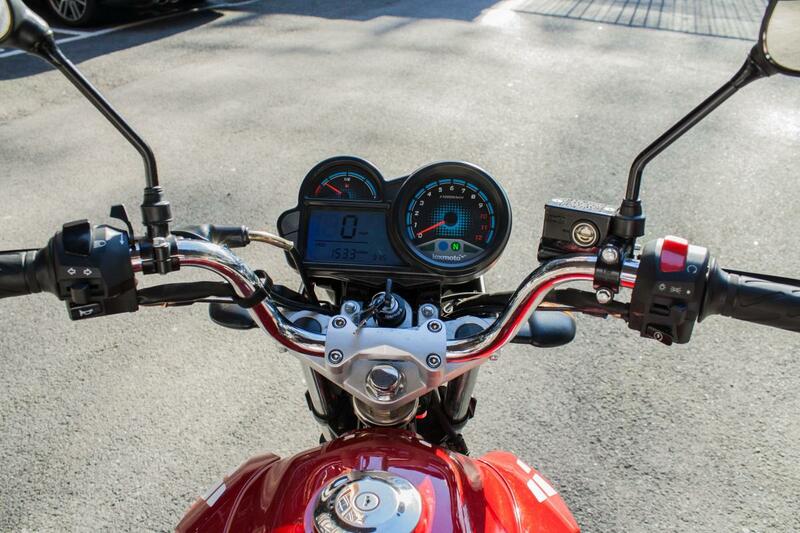 The dash itself is basic, functional and clear, with speed and revs easily visible at a glance. It was a pleasant surprise when I first turned the ignition on and saw the rev counter even sweep round to the 12,000 rpm redline before settling back to zero. It’s the same story with the bar switches, which all works nicely and feels like good quality. 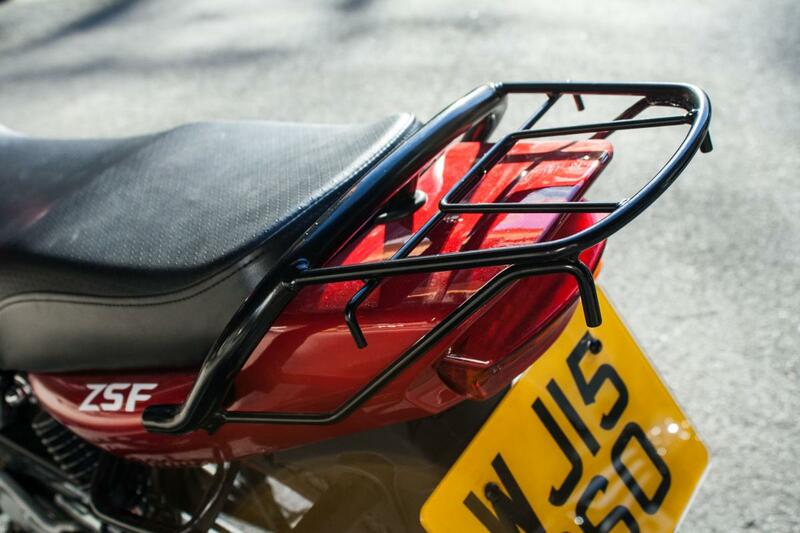 While the shape and positioning of the bars aren’t to my taste, giving the bike a bit of a pedestrian, commuter-ish look, they provide good leverage and a huge steering lock angle. In built-up traffic, the ZSF excels at hustling past London’s double deckers and wayward black cabs. It’s ace at making tight turns and matches a scooter for filtering finesse because it’s so narrow. The mirrors don’t hamper filtering either, but have a tendency to gradually flop out of position and I had to adjust them often. If you think you recognise it the ZSF, it’s because it’s 'inspired by' Yamaha's YBR125 according to Lexmoto, albeit with some new pods on the sides of the tank. They look like they might be directing air towards the engine but they don’t do anything apart from make the ZSF look less meek. So when you leave it parked up, the bigger bikes don’t give it a hard time for being cheap and small. 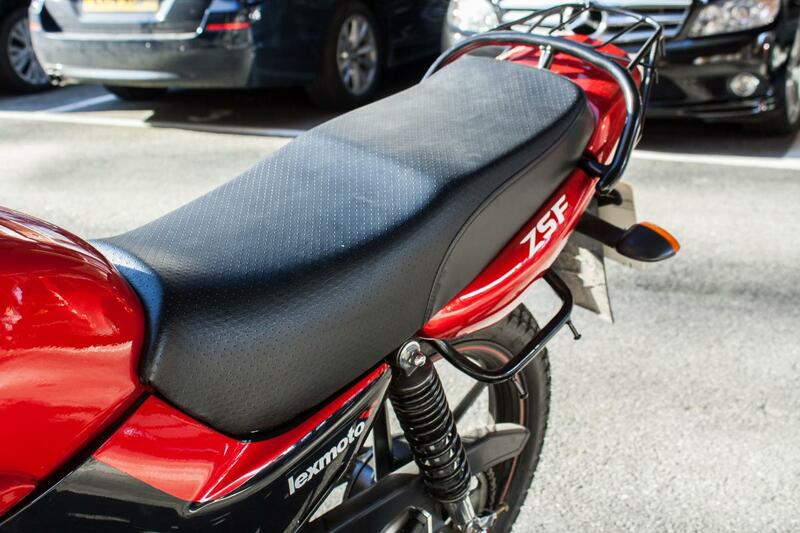 The paint is good too – the tank, seat unit and plastics are finished in a lustrous black and red that belies how inexpensive the ZSF is. So is it worth the outlay? If you’re prepared to put thicker oil in to the forks and get some better tyres fitted (which aren’t expensive), then yes. It’s a brand-new bike for just over £1,000 that’ll easily meet the needs of cross-town commuters and learners. It is very basic and functional, but that should make it easy and cheap to maintain. For the money, there’s isn't much to fault in the overall quality, but value isn’t necessarily where I want to find it. Give me decent rubber instead of a flashy dash, any day. 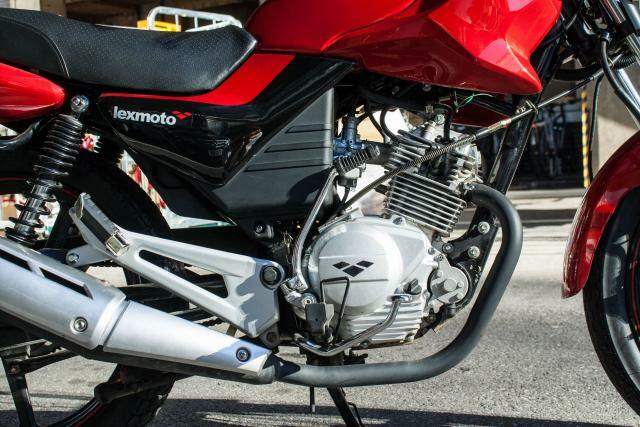 Watch our video review of the Lexmoto ZSF 125 here.